The Conference of the Party (COP) of the Waigani Con­vention in its first meeting agreed that a Scientific and Technical Advisory Committee be established to advise the COP on issues relating to hazard­ous wastes and radi­oactive waste in the region. 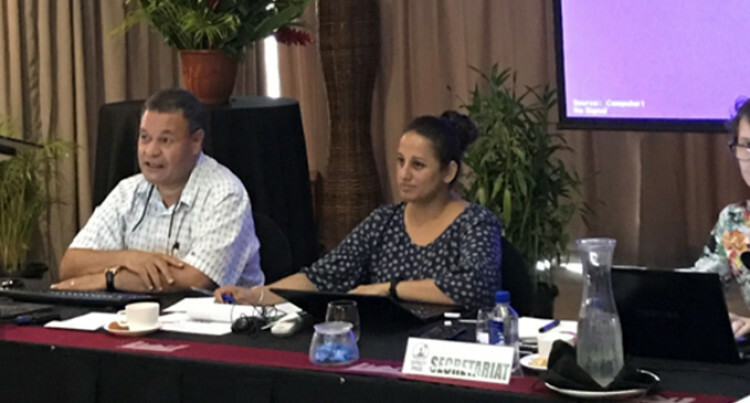 The Seventh Meeting of the Scientific and Technical Advisory Committee (STAC-7) of the Convention to Ban the Importation of Hazardous and Radioactive Wastes into Pacific Island Countries and to Control the Trans boundary Movement of Hazardous Wastes and the Management of Hazardous Wastes within the South Pa­cific Region (Waigani Convention) is underway in Nadi. The two-day regional meeting, chaired by the Director of Environment, Sandeep Singh, discussed the sound man­agement of hazardous wastes and radioactive waste in the region. The outcomes from this meeting will be presented before the 10th Conference of the Party for the Waigani Convention in September 2019. The 1995 Waigani Convention is a re­gional treaty that bans the exporting of hazardous or ra­dioactive wastes to Pacific Island Forum countries, and pro­hibits forum island countries from im­porting such wastes. The meeting is be­ing attended by Australia, the Cook Islands, Fiji, Kiribati, Niue, Papua New Guinea, Samoa, Tonga, Tuvalu, and Va­nuatu. Other parties to the Waigani Convention include the Federated States of Micronesia, New Zealand and the Solomon Islands. The meeting ended yesterday.